Marge was relinquished at the vet's office when her previous owner (who rescued her from a feed store) could not afford to pay for her vet care as she suffered from fly strike. Sweet Marge healed from fly strike and has been spayed. She is extremely affectionate and loves to lick your face and hands. She enjoys sitting on your lap or resting on your chest. She will steal fruits and veggies out of your hands so watch out. 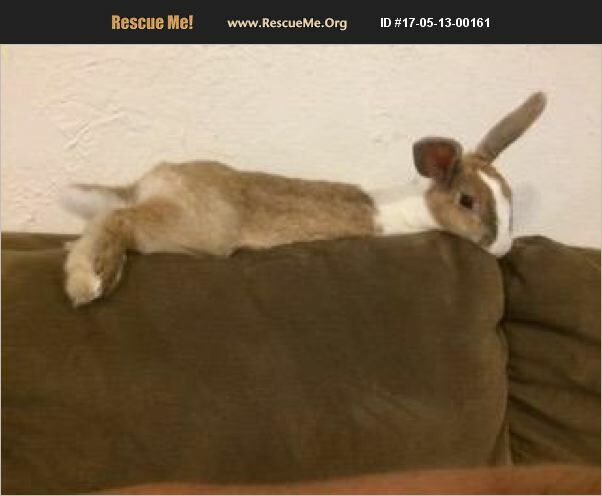 Marge is the perfect bunny and is estimated to be about four years old.